Hong Kong, January 2019, Storiqa’s team releases a product which relates to the marketplace but at the same time can be used out of the STQ ecosystem. 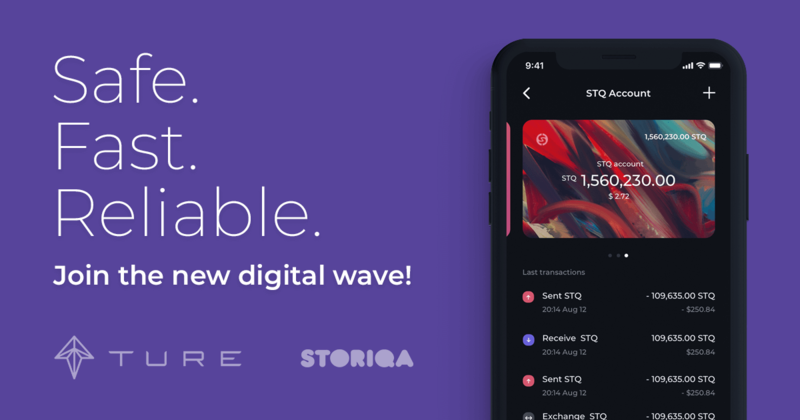 TURE Wallet is developed by Storiqa, the marketplace which has already gained substantial weight in the crypto industry and attracted NASDAQ’s interest. TURE Wallet is a payment application which allows transactions between its users in BTC, ETH, and STQ with zero fees. TURE Wallet is a multi-crypto wallet and currently supports BTC, ETH, and STQ. It allows allocating budget among several currencies simultaneously. commented the CEO of Storiqa, Andrian Galkin.